This week all the staff and pupils put back on their running shoes and starting taking part in the “Daily Mile” initiative once again. “The Daily Mile” is an initiative that we started in Autumn 2016 and we all thoroughly enjoyed it. Every day at 12.15pm we will change into runners and a rain-coat and will walk, jog or sprint around the pitch for a straight fifteen minutes. 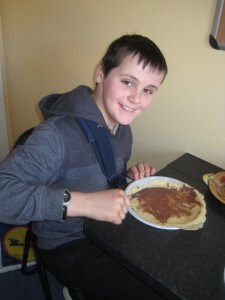 Most children will average a mile in this 15 minutes, however the “Daily Mile” is not a competitive activity. 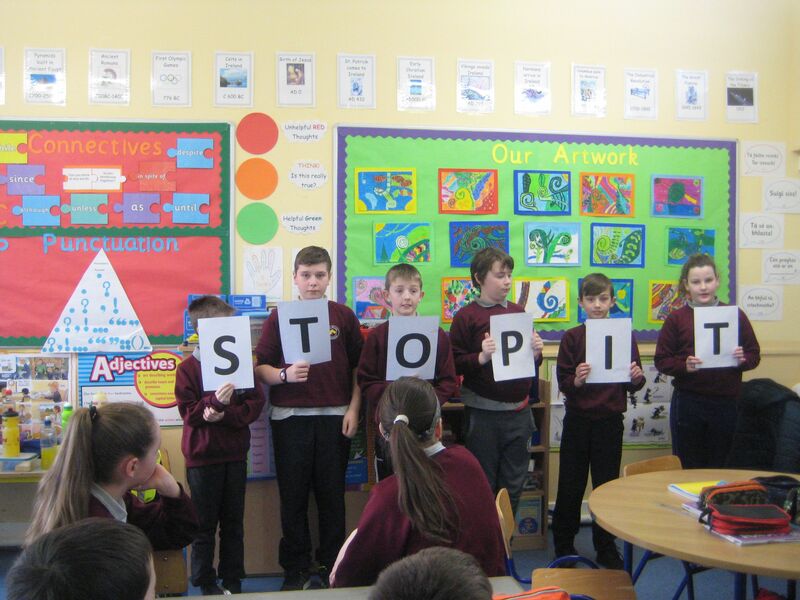 Instead the “Daily Mile” is a physical activity which is aimed at improving our physical, social and emotional well-being. It can also help children to focus and concentrate in the classroom and raise their attainment! 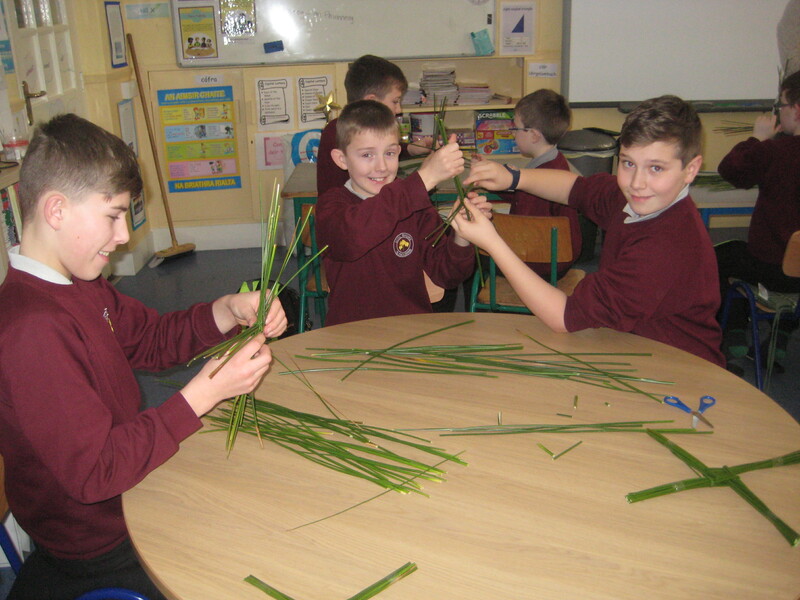 Last week we celebrated ‘Friendship Week’ in Glencorrib N.S. We had a great week completing lots of different activities based around the theme of friendship. 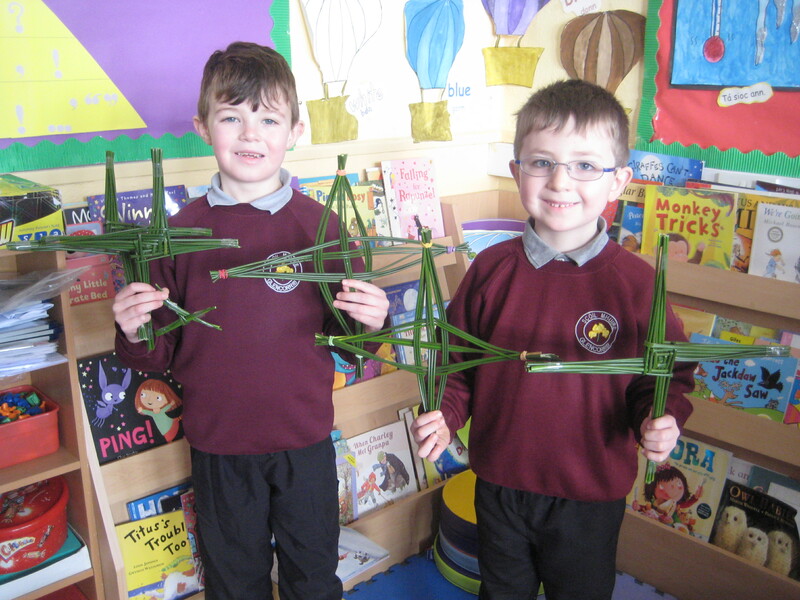 On Monday, we each received a ‘Mystery Friend’ for the week. 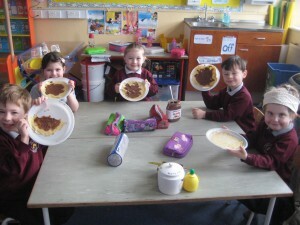 We had to be extra kind and helpful to our mystery friend each day. 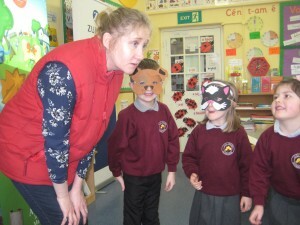 Our teachers were very impressed with all of the different acts of kindness that we were performing all week! We watched the story of ‘The Rainbow Fish’ which reminded us of the importance of sharing and playing or working together as a team. 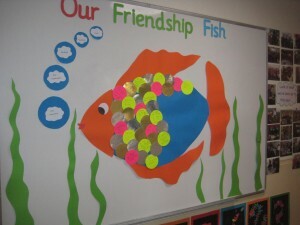 This story inspired us to create our very own ‘Frienship Fish’. Each of the beautiful scales on our fish has a note with something nice that each of us has done for a friend. We hope to have the fish covered in beautiful scales very soon! 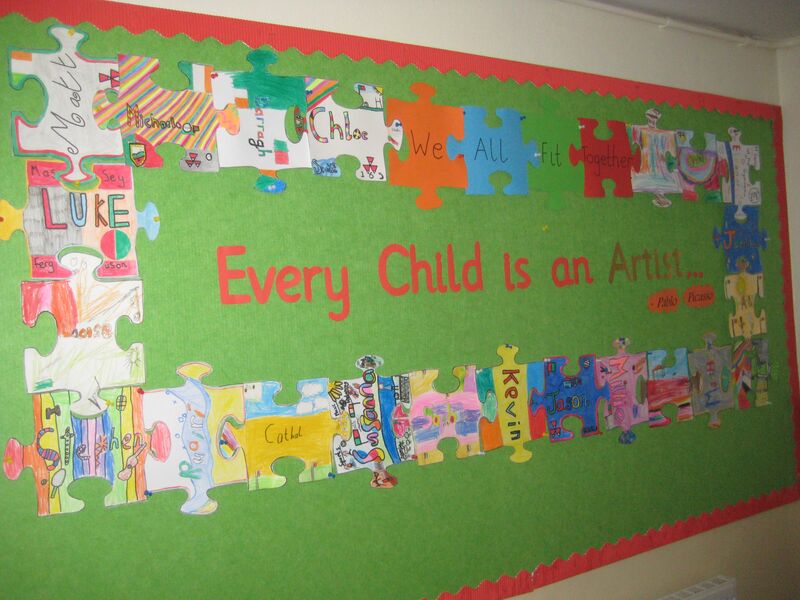 In Art, we each designed our own jigsaw piece which show that even though we are all different, we all fit together like a jigsaw. 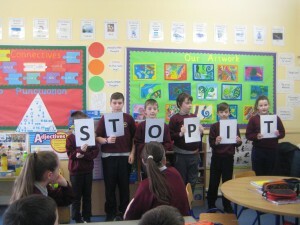 We also held a competition to come up with a friendship slogan for our school. 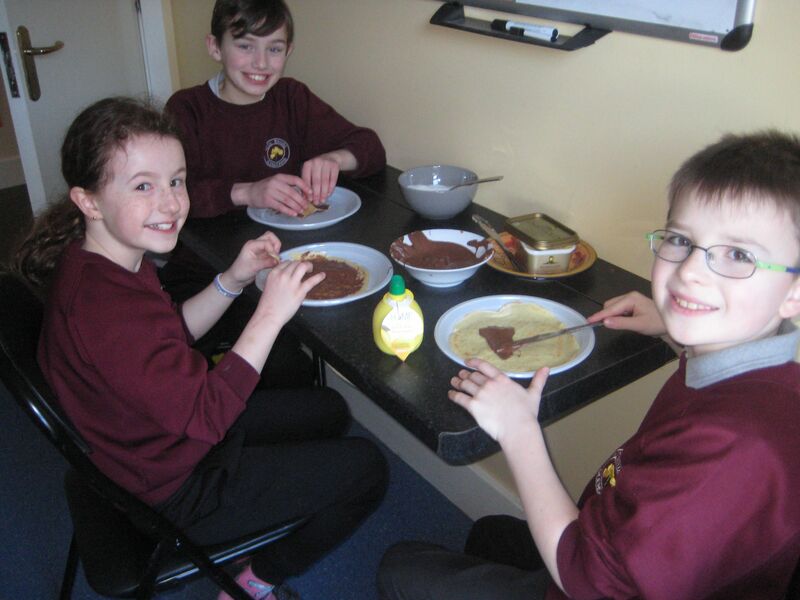 Well done to Michaela whose winning slogan was ‘Be Kind to Your Friend, Then Your Friendship Will Never End’. 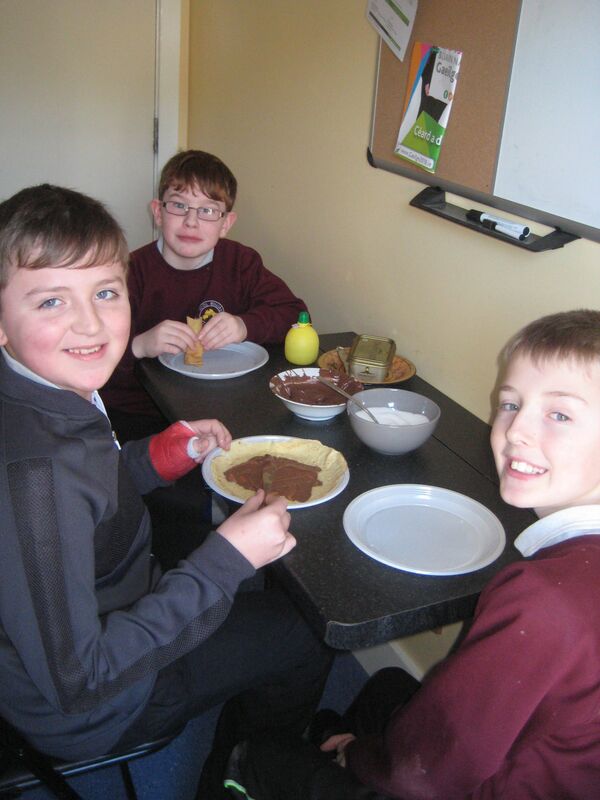 A fantastic friendly week was had by all! Today Alma from AgriKids visited us to talk to us about farm safety. We all love farms and life in the countryside here in Glencorrib, and many of us even live on farms. There’s lots of things for us to enjoy and explore, but it’s important to know when to play and when to stay away. 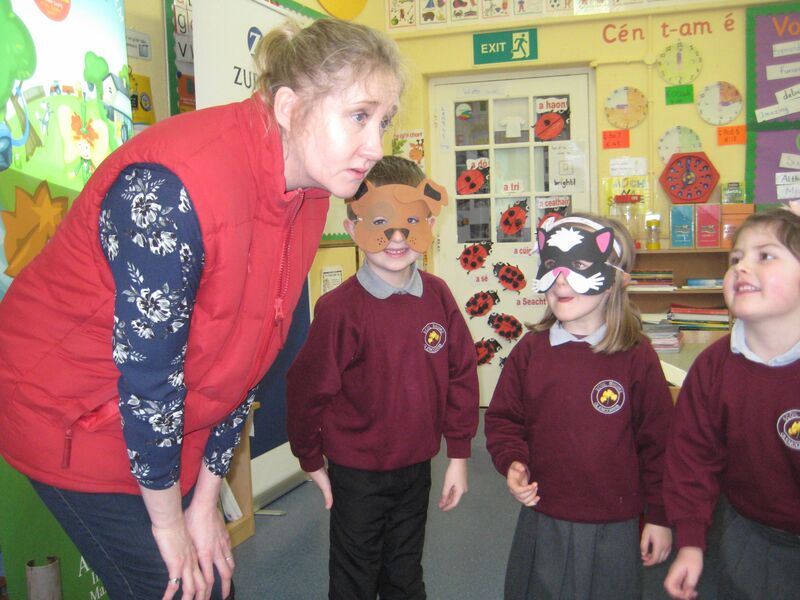 Alma visited the Junior room first, where she read them some stories from her book ‘Tales from Riverside Farm’ and taught them all about keeping safe on the farm. In the senior room, she talked all about farm safety, including safety signage, slurry safety, animal behaviours and tractor safety. 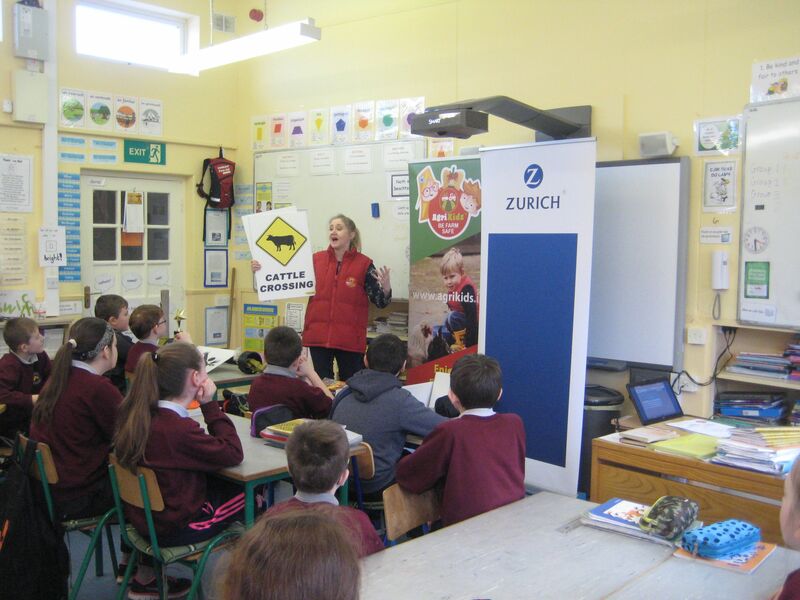 Alma was very impressed with all our pupils and their existing knowledge of farms and farm safety, but it is so important that we continue to recap on good farm safety practices regularly. 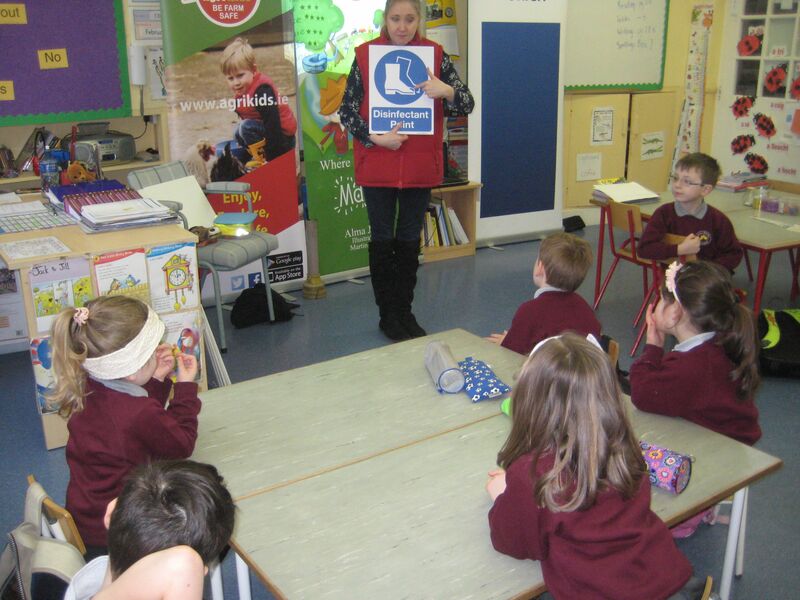 So next time you are out and about on or near a farm take the time to chat about how you can be farmsafe. We couldn’t wait for Pancake Tuesday to arrive and when it finally came, we certainly all enjoyed our scrumptious pancakes! It was a lovely treat, particularly for the boys and girls who were at swimming lessons in the morning and arrived back to the smell of delicious pancakes wafting through the school! Have a look at some of the pictures from the day! 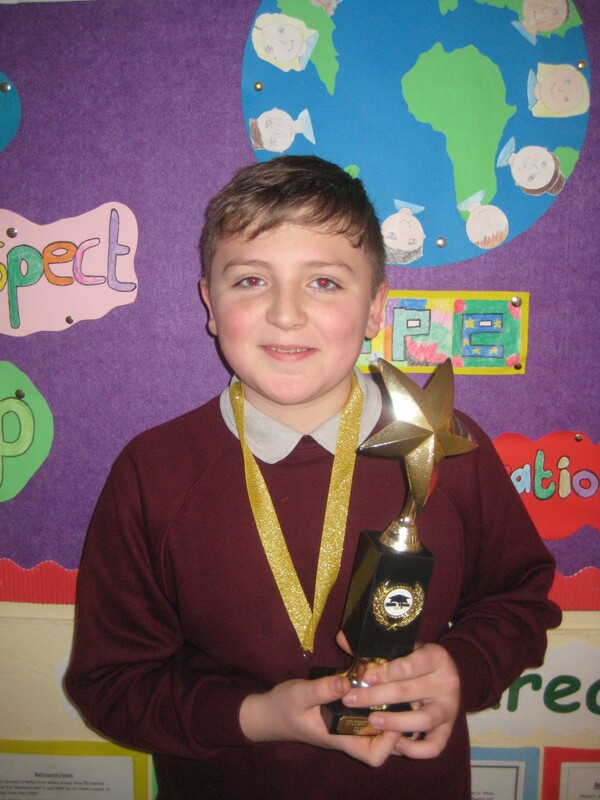 Congratulations to our new student of the month for February – Darragh. 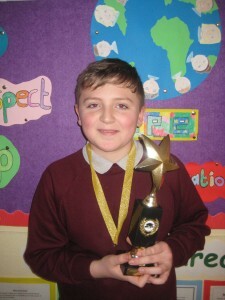 Well done to Darragh on all your hard work! 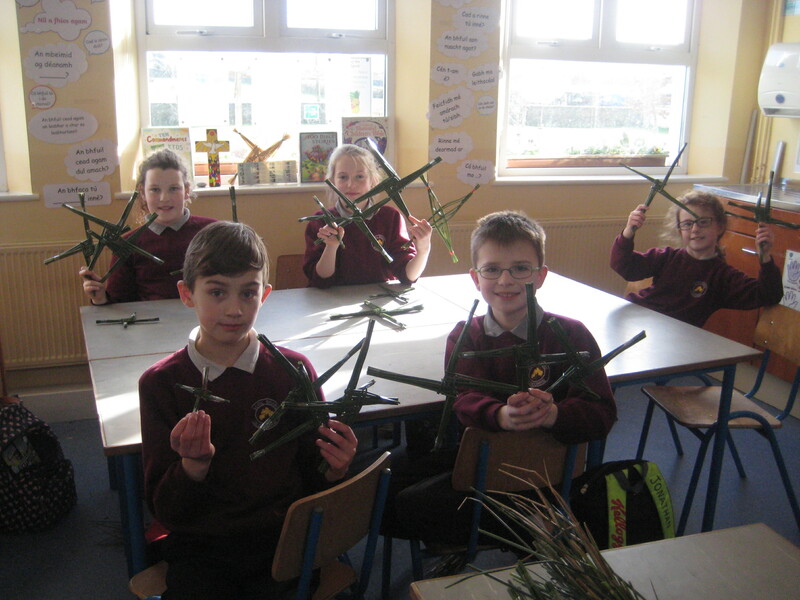 We have had a very busy afternoon in school making St. Brigid’s Day crosses. 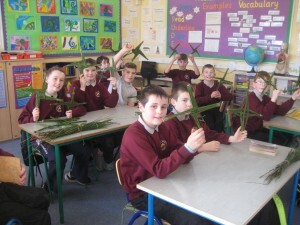 We were very impressed with all our pupils today as every pupil from 1st – 6th class made their own cross. 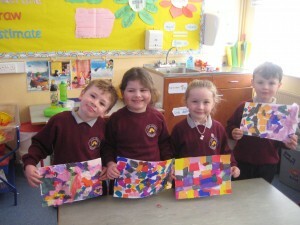 The Junior Infants also made a lovely St. Brigid’s Cloak using a collage of crepe paper. Have a look at some of the pictures from our day!